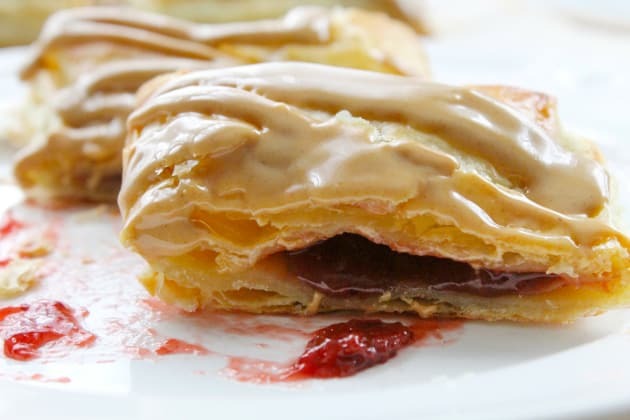 Peanut butter and jelly pop tarts are a homemade treat the whole crew will adore. 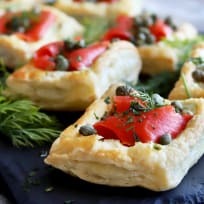 Puff pastry from the store will make things easy! When I was a kid I used to eat pop tarts ALL OF THE TIME. Seriously, it was like my favorite breakfast. It was quick and easy. All I had to do was just pop them into the toaster, and I would have this ooey gooey, warm pastry. It was perfection! 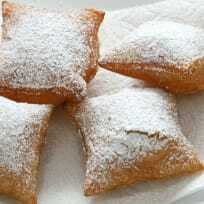 For some reason though, now that I have my own kids, I almost never buy my kids these wonderful little pastry treats. It is crazy all of the flavors they have out now, such as hot fudge sundae or birthday cake, because I only ever remember eating frosted brown sugar. Well, because my kiddos love them so much, and as much as I do, I set out on trying to make them at home. 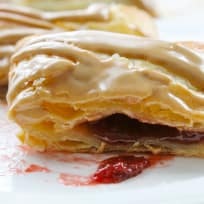 If you regularly read The Bitter Side of Sweet you will know that I am a super nut about puff pastry! 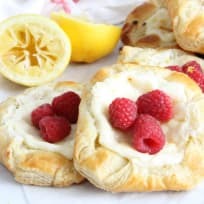 I think it is so easy to use and I can have a quick dessert ready in no time, like these Key lime tarts. 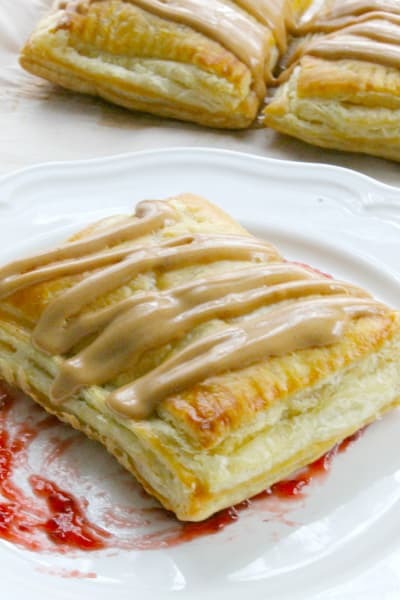 To make these pop tarts, I used three very simple ingredients: peanut butter, jelly and puff pastry. It is simple as that. 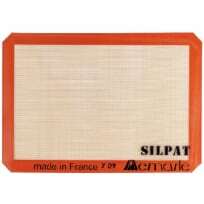 Now, when using puff pastry, there is some waiting time. I know we all don’t like to wait, but it is okay - this is necessary. 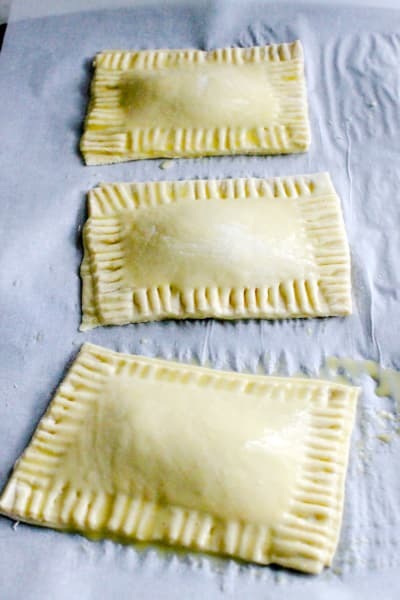 You see, the puff pastry is frozen, and while I have seen some use it frozen, I prefer to let my pastry sit at room temperature for about 20 minutes, just so it is easier to use. 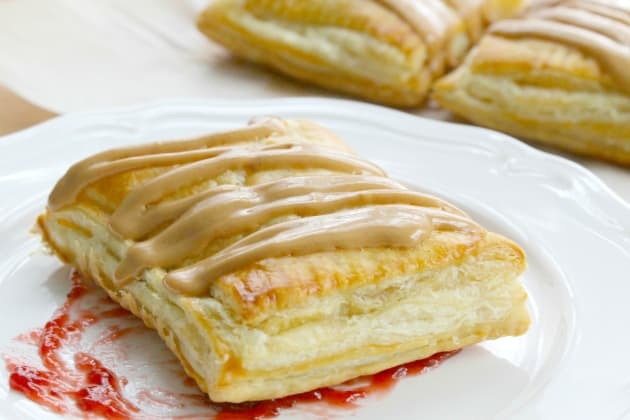 Making them a kid’s classic, like peanut butter and jelly, was a no brainer for me. I did however make these kind of large. 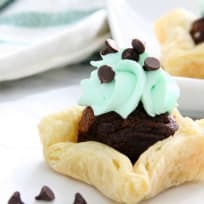 You could absolutely make these smaller, for a more bite-sized treat, or to stretch the recipe further for more servings.